This report compares global competitiveness of nine cities around the world including Fukuoka. Seattle, Vancouver, Melbourne, Munich, and Barcelona, which were already compared with Fukuoka in the 2014 research, are joined by Stockholm, Helsinki, and Busan this time. 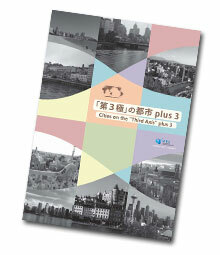 *Photo credits are listed at the bottom of this web page. 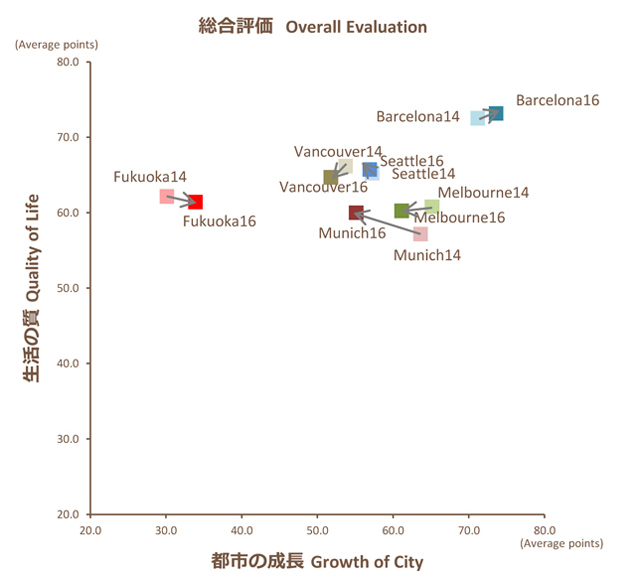 However, comparison among the six cities from the 2014 report in overall evaluation of 2014 and 2016 resulted in Fukuoka’s highest growth of score recorded among the six. 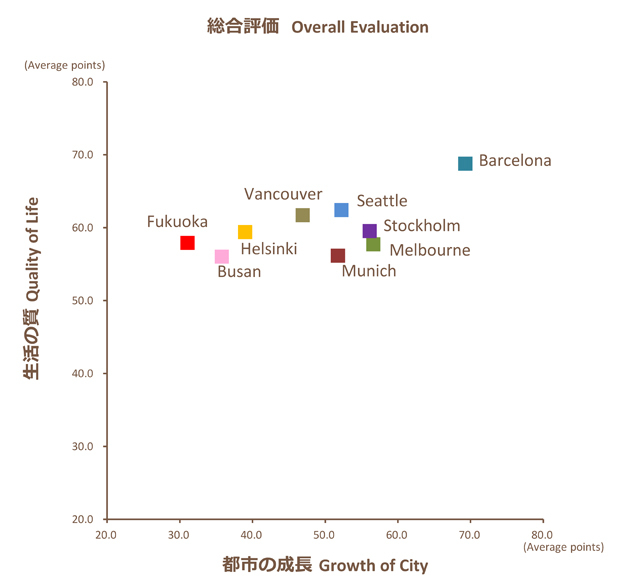 In the past two years, the index values of inbound system among the indicators of “Growth of City” in Fukuoka rose sharply. 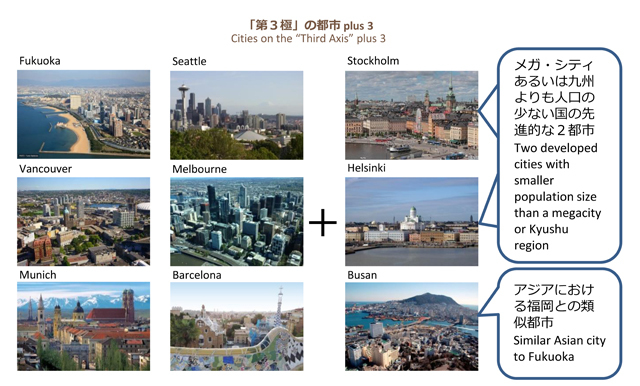 It can be attributed to the growth strategies of Fukuoka City since being designated as a “Special Zone for Global Startups and Job Creation” in 2014. 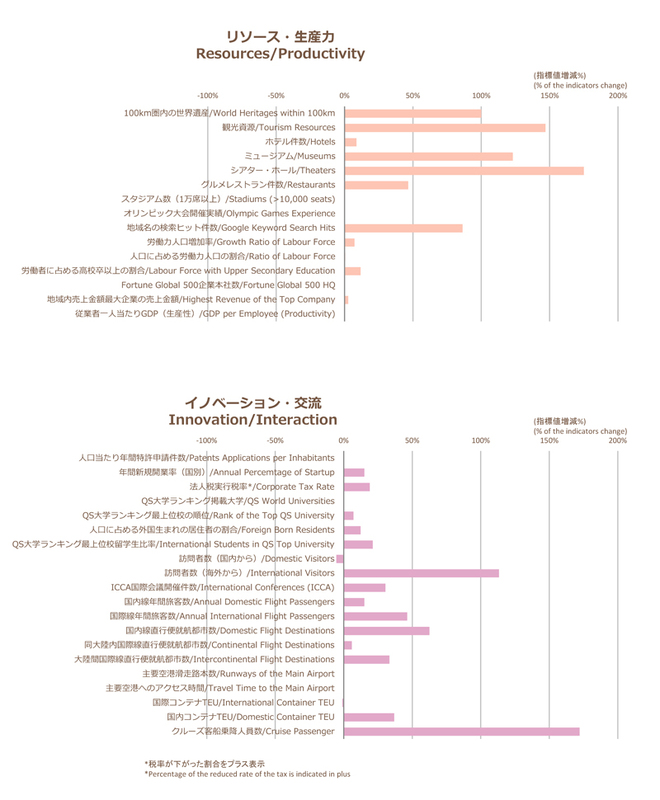 In the future, it will be a new issue to raise the index value of outbound system by supporting further global development of Fukuoka’s talents and companies.